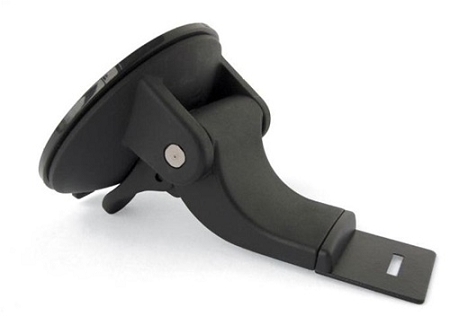 The single cup windshield mount is a must have , it stays on the windshield is very solid unlike the two mini cups one gets with the purchase of a radar detector which fall off in the summer heat or cold weather and are not very stable making the unit vibrate , excellent product. I have own many radar detectors with stock windshield mount but this is the best windshield mount I have ever owned. It hold the detector sturdy and it is very strong and dependable under any driving conditions. This purchase was well worth the money! I must be really slow cause I had a heck of a time getting to suction properly. I even handed if off to a bunch of my (highly educated) coworkers and they couldnt figure it out. Finally I realized that the cup has to suction/stick on its own BEFORE you apply the lever to lock it in. I though you used the lever to get it to suction. NO!. But it now it works great. Works great, just as advertised. Way better than the suction cups that come with the radar. Well worth the money! I am very pleased with the new windshield mount. I was not pleased with my Beltronics radar detector due to the very poor suction cup design which fell off my windshield all the time. My brother also has a Beltronic radar detector with the same problem. I ordered him a new mount at the same time I ordered my mount. We are finally happy with our radar detectors. Beltronics should discontinue using the old suction cup design.